Senior Congress leader and Chairman HP State Pollution Control Board Kuldeep Singh Pathania has lashed out at Dhumal family and BJP leaders for indulging in malicious propaganda against Chief Minister Virbhadra Singh. In a press communiqué, Pathania stated that the Dhumals were facing a crisis of existence and were leveling wild allegations to remain politically alive in the media. 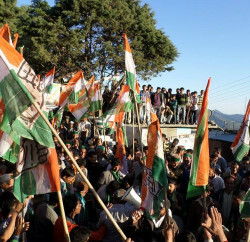 He said that Virbhadra Singh was the tallest and most popular leader in the State. Under his leadership the Congress Party in the Vidhan Sabha elections converted the ‘Mission Repeat’ of the BJP into ‘Mission Delete’. BJP leaders were foreseeing similar fate in the ensuing Lok Sabha elections. Fearing imminent defeat the Dhumals have stooped very low to cheap and dirty politics of unscrupulous personal attacks on the Chief Minister. He said that even during the Assembly elections also they had launched a similar personalised mud-slinging campaign against Virbhadra Singh and raised baseless and unfounded issues in the media. Now again, they are raising same old issues to create unwanted sensation. He said that following the fair probes into the misdeeds of the previous BJP Govt., the BJP leaders were apprehending action for their large scale wrong doings. He said that they were feeling isolated and corned in their own party and were leveling baseless accusations in desperation. Pathania accused Dhumal family for involved in various scams like the HPCA, illegal Phone-tapping and shady land deals. He said that Prem Kumar Dhumal went out of the way to give precious Govt. land to HPCA to establish his son. The HPCA was a big scandal and has been converted into a company after taking land as a society. HPCA has not only encroached upon valuable Govt. land at Dharamshala for its stadium but also illegally demolished Govt. building on it in violation of Law. 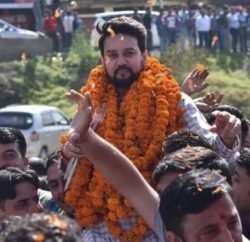 Kuldeep Pathania said that Prem Kumar Dhumal could not see beyond his sons and was now trying to establish his second son Arun Dhumal in politics and was using the party organisation for this purpose. He said that the Dhumal Govt. crossed all limits of criminality by indulging in illegal Phone-tapping of political opponents, their own ministers, officers and journalists. The copies of personal documents of Virbhadra Singh like Income Tax Returns and bank details, which can not be obtained even under RTI, were available with the Dhumals, which clearly goes to prove that they had been indulging in more serious crimes like spying and unlawful possession of personal documents of others. He said that there was nothing wrong in taking loan from individual or buying shares in a listed company when all formalities have been completed. All the transactions made by the family members of Virbhadra Singh were transparent and made through cheques and there was nothing wrong in them. He claimed that Virbhadra Singh and his Govt has not extended any favour to M/s Venture Energy and Technology Ltd. It was the BJP Govt. which allotted Sai-Kothi project to the company, besides giving four extensions to it, he quipped. 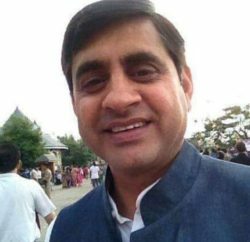 Pathania stated that the Congress Govt. gave only one extension and that too on double the extension fee levied by the BJP Govt. It was the Congress Govt. that cancelled the project in November 2013.